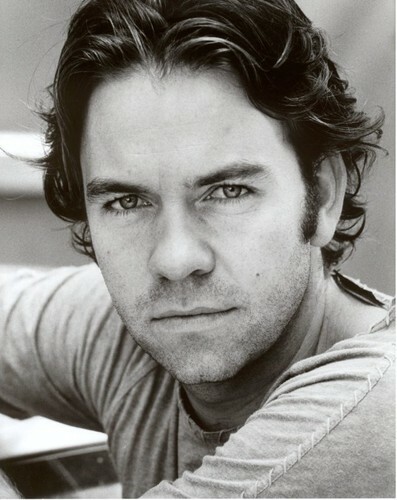 Brendan Cowell is an Australian actor, screenwriter and director. Cowell was born in Sydney. He stumbled upon acting by accident while waiting for his sister to come out of a rehearsal; he was then cast in a commercial at age 8. He went to Charles Sturt University, in Bathurst, to complete a Bachelor of Arts in Theatre/Media, originally considering journalism as a career option. Although he is generally known as an actor, he also has many off-screen credits to his name, such as writing and directing. He won the Patrick White Playwrights' Award for his third play Bed along with a collection of other awards. His play Ruben Guthrie showed at the Belvoir St Theatre in 2009 to sell-out houses. It has a new production at La Boite Theatre in 2011, starring Gyton Grantley and directed by David Berthold. His most famous acting role is playing the enigmatic Tom on Australian cable TV's Love My Way, for which he also wrote several episodes, and playing Todd for the first two seasons on Life Support on SBS TV, for which he also wrote sketches. His most recent foray into film have included roles in the 2007 crime drama Noise, World War 1 war film Beneath Hill 60 and the rom-com penned by Melbourne funny man Peter Helliar entitled I Love You Too. He won some acclaim for his portrayal of the title role in Bell Shakespeare's 2009 Production of Hamlet and acted in Sydney Theatre Company's production of True West, directed by Philip Seymour Hoffman, in 2010. Brendan lives in Newtown, Sydney and is a committed supporter of the Cronulla Sharks rugby league team. Even though Cowell is best known for his acting/script writing career, he recently published his first novel: How it Feels. Bondi Short Film Festival entries close soon!